Bedazzled Ink Publishing, 9781943837625, 216pp. 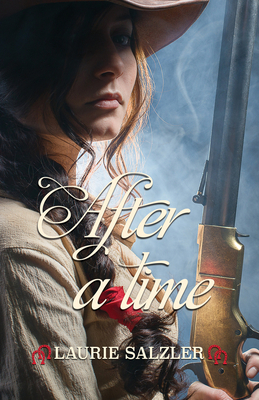 In the late 1800’s, teenager Mayme Watson boards a train bound for Eagle Rock, Idaho. Disillusioned by her parents and completely alone, she finds a place to stay and a job to support herself. When Mayme discovers that most of the girls in town are just biding their time until they can marry, her heart calls for a change. She embarks on an adventure to overcome her feelings of failure by disguising herself as a boy and getting hired on as a post rider for the United States Postal Service. Follow along with Mayme on her often dangerous journeys as she discovers that waiting for the future is not as fulfilling as setting out to find it. Laurie Salzler holds a degree in Natural Resources Conservation and Outdoor Recreation. She has worked with animals (wild and domesticated) her entire life, including in the veterinary field and equine industry at training and breeding facilities in New York, Pennsylvania, and Michigan. She is an avid outdoor enthusiast and enjoys horseback riding, hiking, snowshoeing, bird-watching, and photography. She currently lives in Australia.